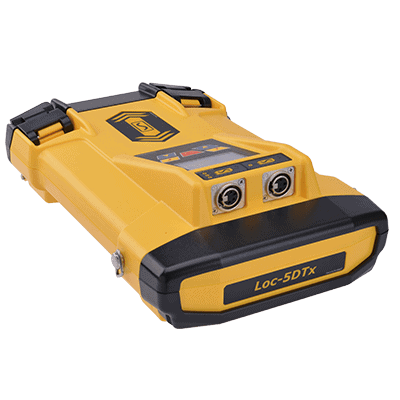 The Loc-5STx Broadband Transmitter has selectable induction frequencies from 8kHz to 200kHz and direct-connect frequencies from 512Hz to 200kHz. 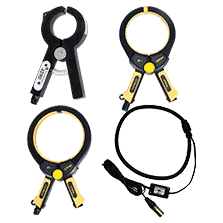 Signal Direction, Fault Find and True Resistance Measurement up to 1 Mohm are all standard. 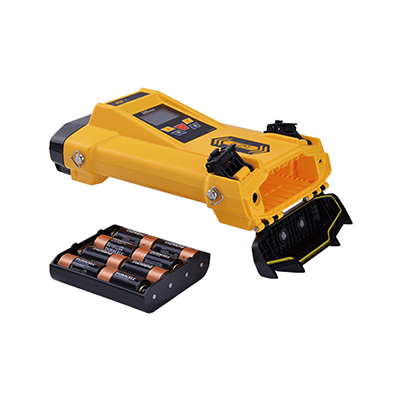 The backlit dot matrix display shows output current, connection type, volts, resistance, frequency, volume, battery condition, and high voltage warnings. 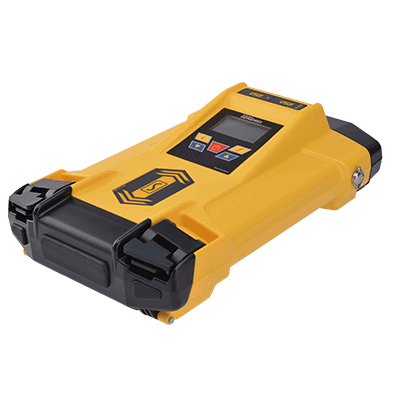 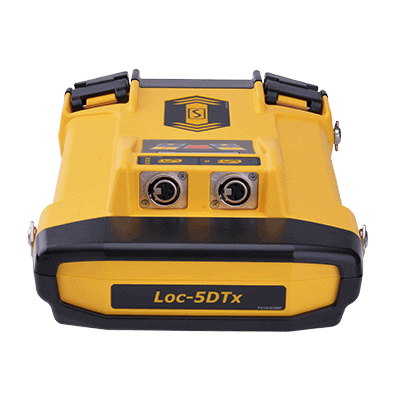 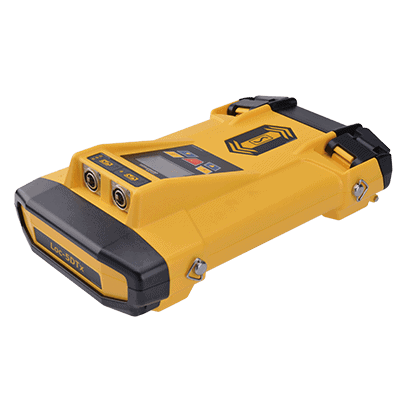 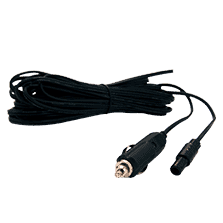 The Loc-5STx comes in a rugged IP54 housing and the transmitter provides current output in direct connect, clamp and induction modes. 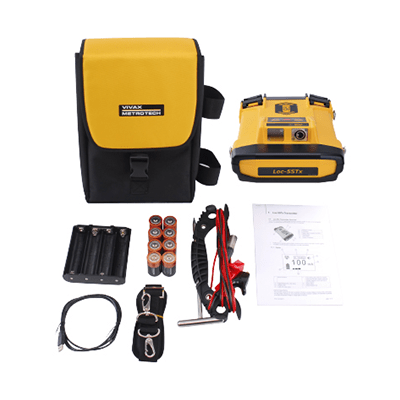 It comes with standard Direct Connection Leads, Ground Stake, Clip-on carry strap, Carry Bag, and eight alkaline “D” cell batteries. 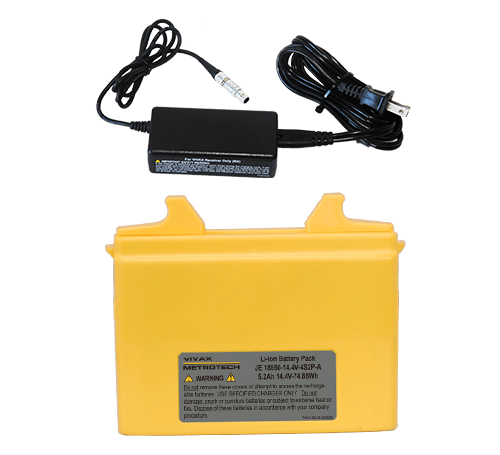 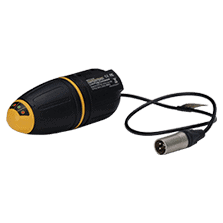 If you would prefer a rechargeable option, you can also purchase the Li-ion battery kit.